This is a little photo montage from a scene which has been happening near our apartment in São Paulo each Sunday. 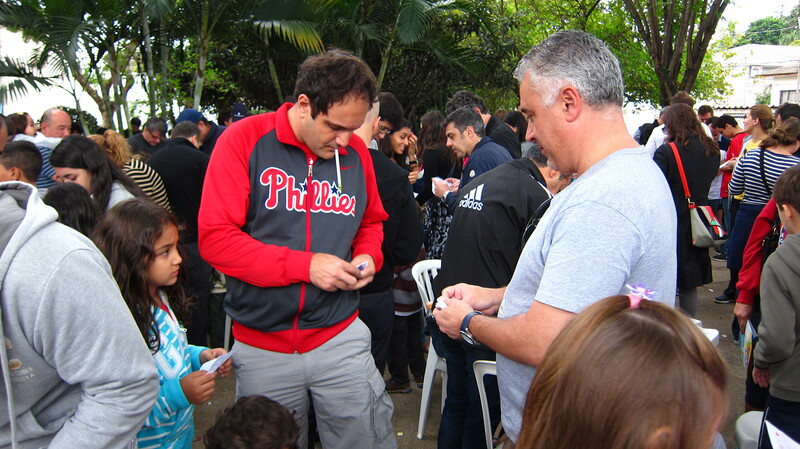 In the little plaza where there is a newsagent stand, crowds of Brazilian families come to swap their cards with others. We are not talking children here, it’s mums, dads, grandparents, uncles, aunts – the whole family, self-organising and coming together as a community. I thought I would take these photos to try and capture the eyes-down concentration, planning, note-taking and intensity in which everyone is trying to find those elusive final stickers to complete their collections.